Sparklean Laundry is looking for energetic, positive, upbeat people who love working with the public to join our team. 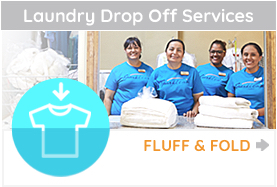 Assists self service laundry customers as needed with self service machines, washer/dryer issues, vending machines, etc. 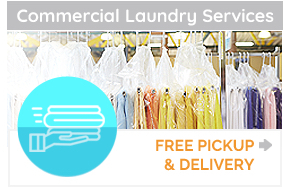 Performs washing, drying, folding for drop-off customers according to procedures. Helps to maintain cleanliness of store and machines. Sorts laundry items received for washing by colors and whites. Loads proper number of weight into washing machines and unloads upon completion of wash cycle. Loads & operates dryers, insuring proper weight of load and correctness of temperature. Neatly fold and bag laundry for customer pick up. Checks lint screens for lint and cleans lint filters as necessary to maintain optimum efficiency of dryers. Maintains cleanliness of store by wiping countertops, machine tops and soap receptacles. Reports any equipment not working properly to management. Ready to get started? Please fill out this application and upload using the form below. Have questions? Call 800-960-1627 for more information. To upload and submit your completed employment application, click 'Browse' to select the correct file. Click 'Submit' to complete your submission.